Alpine ski competition in the Pacific Northwest, including Oregon, Washington, and Western Idaho is organized and conducted by the Pacific Northwest Ski Association (PNSA). PNSA and its' competitions are organized under the guidelines of the International Ski Federation (FIS) and U.S. Ski & Snowboard. The Pacific Northwest Ski Association was originally developed out of the need for uniformity in all phases of ski competition. PNSA works with U.S. Ski & Snowboard in establishing the eligibility and qualifications of competitors, setting standards and certifications for coaches and officials, and organizes clinics and training programs for all alpine skiing disciplines. As a division of U.S. Ski & Snowboard and the Western Region, PNSA plays a key role in all U.S. Ski & Snowboard ski competitions. 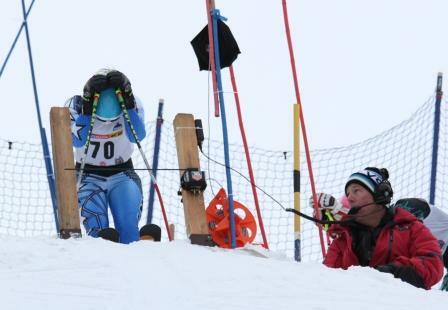 PNSA’s programs are the first step for ski competitors to national and international amateur sports competition. PNSA is a non-profit organization and operates for the benefit of all PNSA and U.S. Ski & Snowboard members in the Pacific Northwest division. Everyone has the opportunity to participate. We strive to do the right thing every day, regardless of personal interests or outcomes. Foster a culture of cooperation among our resorts, clubs, coaches, athletes and officials. Cultivate fellowship, unity and respect among the snow sports community. Committed to efficiency, effectiveness and transparency in all we do. The administration of alpine competition in PNSA is the responsibility of the Director of the Alpine competition committee. This Director, in turn, is responsible to the PNSA Board of Directors. The Director appoints a chairman of each subcommittee to implement policy in their technical areas. PNSA’s athletic programs are designed and implemented by professional coaches and administrators as well as an active group of dedicated and knowledgeable volunteers. In addition, PNSA has direct input to the policies, procedures, and guidelines of the U.S. Ski & Snowboard through PNSA’S representation at various committee and subcommittee levels of the national organization.